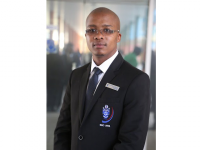 Students of the Vaal University of Technology (VUT) are not confined to the parameters of the institution to further their studies, but instead are privileged to be offered opportunities for international collaboration. Mr Sinovuyo Masikwana VUT’s SRC President, has been selected to participate in the 2015 Study of the US Institute for Student Leaders on Civic Engagement. The programme includes a four-week academy residency and a one-week study tour to a different part of the country. Leadership sessions and community service activities, as well as getting to know Americans, are also integral components of these institutes. Studying abroad provides an opportunity to expand one’s field of view and helps one to understand and analyse problems and phenomena from a longer-term, worldwide perspective. The experience of a university is, for most new students, a steep learning curve in gaining independence. But studying abroad takes that a whole step further; challenging students to really develop as individuals whilst gaining tremendous exposure to international trends, skills and collaborating with foreign students. These initiatives help local institutions provide a more holistic and rich academic education to their students.